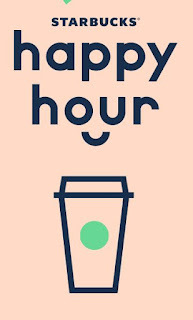 Happy Hour returns to Starbucks stores Thursday, April 26th. On Thursday April 26th, between 3pm and close, head to your favorite Starbucks store to receive half off a Grande Macchiato. Starbucks Rewards members are already on the guest list! The offer will be automatically loaded to your account, so apply it to your order ahead or tell your barista that you'd like to redeem. 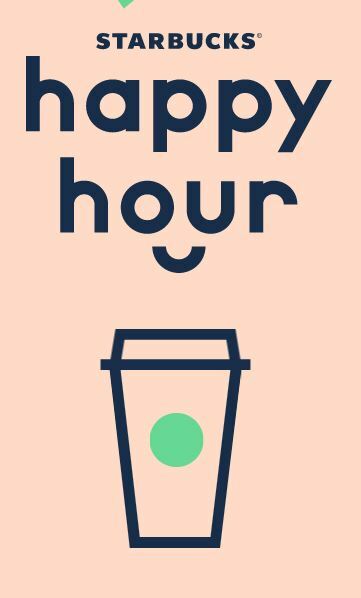 Non-Rewards members can visit starbucks.com/happyhour to RSVP and get their Happy Hour invitation! *Valid 4/26 only after 3 p.m. at participating Starbucks stores. Cannot be combined with any other offer or discount. Offer excludes Starbucks Reserve Macchiatos. Limit one per person. Limited to quantities on hand. Code valid for one-time use.